Adrian Lucas started his musical career as Organ Scholar at St John’s College, Cambridge under Dr George Guest and spent more than 30 years working with boy and girl choristers at Portsmouth, Norwich, Salisbury and Worcester Cathedrals. He studied as a conductor with Colin Metters at the Royal Academy of Music and went on to be Artistic Director for 15 years of the Worcester Three Choirs Festival, reputed to be the oldest music festival in the world. He has worked on many occasions with such orchestras as The Philharmonia Orchestra, City of Birmingham Symphony Orchestra, Bournemouth Symphony Orchestra and Royal Liverpool Symphony Orchestra as well as smaller ensembles such as the Orchestra of the Swan, Florilegium and The Academy of Ancient Music. 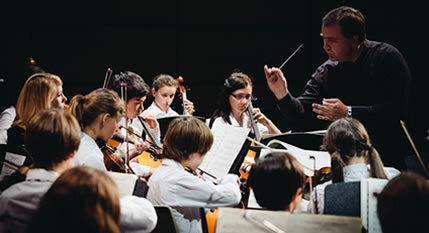 He has directed a vast range of music from Gregorian Chant and medieval music through to contemporary works by John Adams, James Macmillan and Francis Pott, and enjoys an eclectic mix of styles including Bach, Mendelssohn, Elgar, Benny Goodman and Duke Ellington. He worked for many years on the Eton Choral Courses with Ralph Allwood and was co-director of the IAPS Choral Courses. 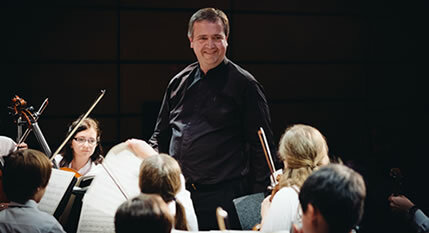 In 2013 he conducted the NPSO Symphony Orchestra and returns for this summer's course. He is both a classical and jazz examiner for ABRSM and loves to encourage young people to enjoy and participate in music.